Behind the visuals, a VISION. FOX News Channel launched today in 1996 to 17 million subscribers. Rupert Murdoch launched the 24-hour news channel on both cable and satellite as part of a News Corp. "worldwide platform" for Fox programming, reasoning that "The appetite for news – particularly news that explains to people how it affects them – is expanding enormously." [And yet "We report. You decide." is the logline.] Murdoch's foray into cable television faced two legislative hurdles; first, no company outside of the US was allowed to own broadcast stations there and, secondly, a company could not simultaneously own a newspaper and a television station in the same city. Using charm, influence, vision and money, the rules were relaxed or revised. In January of 1996, Murdoch hired former NBC executive and Republican political strategist, Roger Ailes, to run the channel. "Ailes worked individuals through five months of 14-hour workdays and several weeks of rehearsal shows before the October 7 launch. At launch, only 10 million households were able to watch Fox News, with none in the major media markets of New York City and Los Angeles. 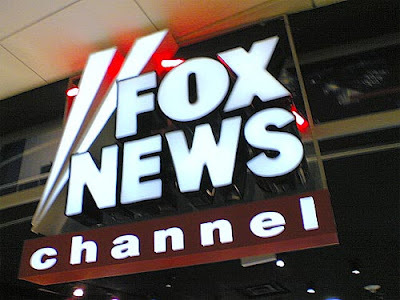 According to published reports, many media reviewers had to watch the first day's programming at Fox News' studios because it was not readily available. The rolling news coverage during the day consisted of 20-minute single topic shows like Fox on Crime or Fox on Politics surrounded by news headlines. Interviews had various facts at the bottom of the screen about the topic or the guest. In the 2000 presidential election, Fox News, which was available in 56 million homes nationwide, saw a staggering 440% increase in viewers, the biggest gain among the three cable news television networks." If you're interested in journalism and media training then check out Poynter.News University. They claim to be "one of the world's most innovative online journalism and media training programs... open to journalists, bloggers, freelance writers, journalism students. Anyone who wants to improve their journalism-based skills" with free or low cost online courses. WRITING: What are 6 questions that can help journalists find a focus and tell better stories? PRODUCING: What's a day in the life of a television news producer like? FINANCING:How have online channels diversified and improved the quality of TV programming and lowered the barriers for entry to produce and distribute media content? DIRECTING: How do you break into TV news? SHOOTING: What do you do as a news room floor director (20 video tutorials)? LIGHTING: Watch a video tutorial filmed and edited by Bart Noonan, chief cameraman of Reuters TV, that shows you how to set up lighting for TV news interviews. SOUND: What are 9 tips on using a lavalier microphone? Plus a bonus video on using lavs with an external recorder. STUNTS & FX: What can you learn in a 5-part series on attire, make-up and hair tips for television appearances? EDITING: "Story tonight at 11" the anchor says to the camera. You're the TV news editor, looking at your watch; it's 10:30 and YOU have an hour of RAW video clips to sift through for this story... what do you do? MARKETING: What are the competing theories for FOX News's success? DISTRIBUTION: Who owns the media? LEGAL: What does the government shutdown mean for broadcasters and the FCC? PRODUCTION TIPS: What is a Loan-Out Company? And Should I Form One?